Boiler Repair Services in Hoboken NJ for Residential and Commercial Property. Most people owning a home or operating a business is concerned with home heating installations. Homeowners in Hoboken NJ with operating boiler systems may find these appliances need repair or replacement. Occasionally it is necessary to replace a worn part that might interfere with a unit’s efficiency. Any problems, “hopefully” are discovered through a maintenance inspection rather than a complete breakdown during cold weather. Hudson Heating Services is licensed & insured heating contractor prepared to repair or replace a home or commercial boiler. Licensed technicians check anything related to the boiler, ignition, water level and any other item that might prevent your system from working properly. Ping noises in a boiler system may seem like the norm, but this is usually a sign of trouble. Boilers consist of many parts that may need attention, air vents, water feed valves or expansion tanks. Expert Hudson Heating Services in Hoboken NJ has the qualified staff to care for any part of a broiler system. Boilers are sold in propane, natural gas and oil fueled. 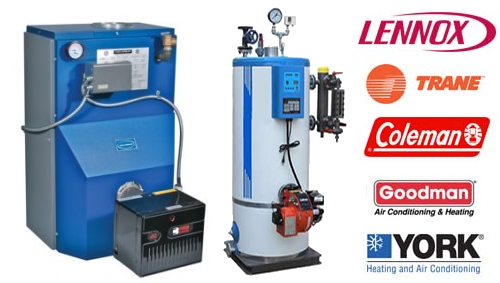 Some customers prefer gas fired systems but all boiler types are skillfully repaired and installed by Hudson Heating boiler repair service in Hoboken NJ. Get reliable hot water boiler systems inspected and keep heat in your home when needed. Whether a cast iron radiator system is used or a steel radiator system, neither is a problem for Hoboken NJ experienced repair staff. Technicians can replace thermostats and inform a customer of any needed repairs before they become a problem. A heating system is used in cold weather but the time to check is long before the season arrives. Poor weather conditions may prevent service personnel from getting to your home in a cold weather break down. Trained experts are able to inspect a boiler system and give property owners a head start on winter weather preparation.